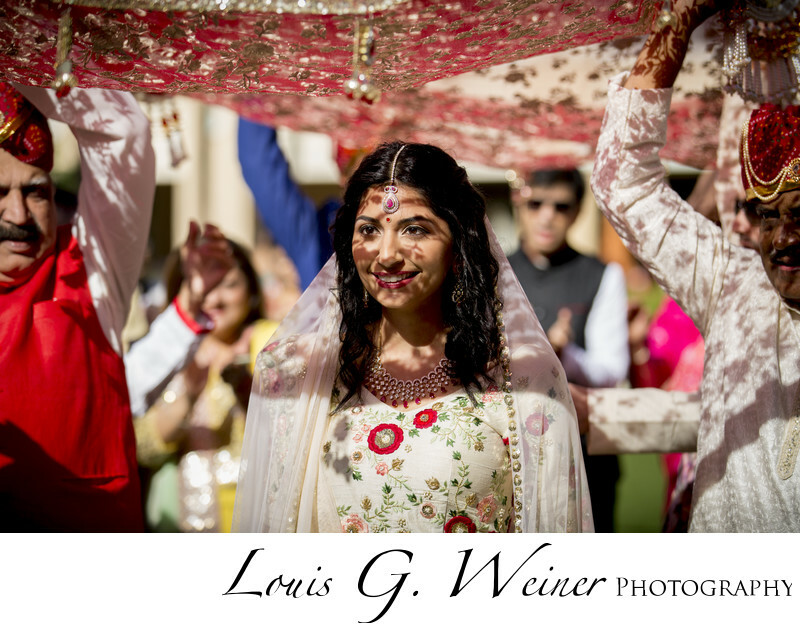 Beautiful Bride seeing her groom for the first time, she is under a fabulous fabric carried by family and loved ones. Indian weddings are so fun, this two day affair was full of parties, dances, family, love, and so much JOY. The ceremony was about two hours long on one of the many large lawns. I loved the fashion, little girls kept asking the bride if she was princess Jasmin. The venue did a wonderful job of planning and directing the event. The rooms were beautiful for getting ready with views of the largest indoor atrium in Florida. The grounds have a fantasy feel not unlike Disney World or Disneyland. The Hotel has a huge water slide area and many pools for fun and relaxation. This is a great destination and holiday location. I would highly recommend this place to anyone looking for a Florida location. Location: Gaylord Palms Resort & Convention Center, 6000 West Osceola Parkway Kissimmee, Florida 34746 USA.